Position Paper ― Instituting a Ministry Of Happiness (MOH)1 and a Minister Of Happiness (MOH)2 as Core Leadership Initiatives. INTRODUCTION: The paper focuses on various elements of justification and the benefits of instituting a (MOH)1 and a (MOH)2 (1, 2 to undergird other ministries of government in achieving their national objectives). It is not investigative of the criteria, or the mechanics for creating a ministry of happiness, which will vary according to the unique ecology of each country. It proffers that happiness is a value proposition for human survival as a viable species. Likewise, it explores new ways to evaluate the natural benefits of happiness for its potency and capacity to transform the lives of individuals and nations. Despite the foundational areas of study in cell biology, genetics and molecular biology, sociology, physiology, biochemistry and developmental biology, the paper proffer that unhappiness plays a significant role inspiring negative human behaviours such as anxiety, depression, anger, revenge, un-forgiveness, and violence. Conversely, happiness inspires positive human behaviors such as peace, purpose, optimism, contentment, and altruism. The paper further proffers that happiness is a high-value proposition for human survival as a viable species. Discovering Your Optimum ‘Happiness Index’ (OHI) is an insightful hypothesis, supported by detailed research that analyzes what happiness is. Everyone has an Optimum Happiness Index (OHI). The book offers interactive questionnaires that guide the reader towards achieving their OH goals. 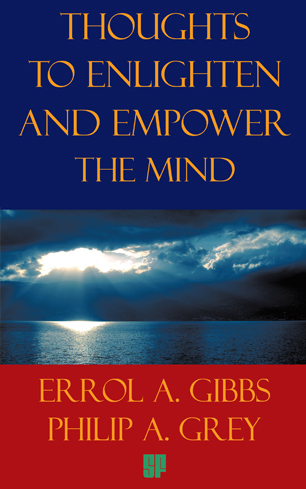 Thoughts to Enlighten and Empower the Mind Is a collection of 2001 questions and philosophical thoughts that will inspire, enlighten, and empower humanity in our twenty-first century; peened simultaneously with our foremost body of work, Five Foundations of Human Development (FFHD). ARE THERE “SECRETS” TO HAPPINESS? “Are there Secrets to Happiness?” What is it to be happy, or to live a happy and successful life? Is it having money, getting married, becoming a mother, having good health, living in a mansion, or receiving a postgraduate degree? The only question that is more investigative is “What is happiness?” There have been many books written concerning ‘happiness’ and attempting to define the ‘secret’ to happiness, or suggesting how to achieve it. Whether scientific or non-scientific we have discovered that there is not a single (universal) definition, key, or secret to happiness. Marjorie and I live “Optimum Happy” (OH) lives, but that does not imply that we have great wealth, live in a mansion, drive exotic automobiles, or socialize with prominent figures in society. Our perspective on happiness means a commitment to God, marriage, children, family, and friends; likewise, to recognize, acknowledge, and embrace the “oneness” of the human family, our “interdependence,” as the ultimate key to happiness. Happiness means to discover one’s genius, which is to determine one’s highest capability and develop it to the “Optimum.” Happiness means to understand that all people have a common desire for universal love, fairness, and justice. Happiness means to listen to and empathize with others who live in fear and suffer anxiety. Happiness means generosity of spirit. Marjorie and I introduce Discovering Your Optimum Happiness Index (OHI) as our vision of a happy life to the world, to engage people, in a global dialogue about the inherent benefits to happiness. How can we Discover our “Optimum Happiness” Index (OHI)? Much more than a ‘self-help’ book, Discovering Your Optimum ‘Happiness Index’ (OHI) takes an in-depth approach to the human condition that contributes to a happy life. What makes a good life? Lessons from the longest study on happiness. Robert Waldinger is a Director of the Harvard Study of Adult Development, one of the most comprehensive longitudinal studies in history [regarding health and happiness]. 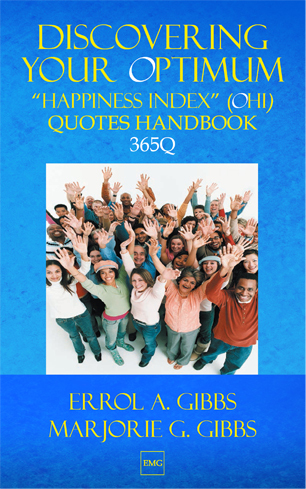 What Inspired the Writing of —Discovering Your Optimum Happiness Index (OHI)? Philosophically Speaking: What is Patience? Philosophically Speaking: What Inspired the Writing of – Five Foundations of Human Development (FFHD)? Philosophically Speaking ― What is Going on in the World? Philosophically Speaking: What is Violence – Symptom or Problem? Philosophically Speaking: What is Education? 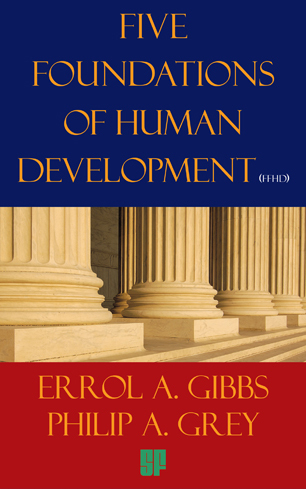 Errol’s peers recognize him for his thoughtful approach to the search for happiness, underpinned by an analytical mind, and for his compelling and philosophical viewpoints. 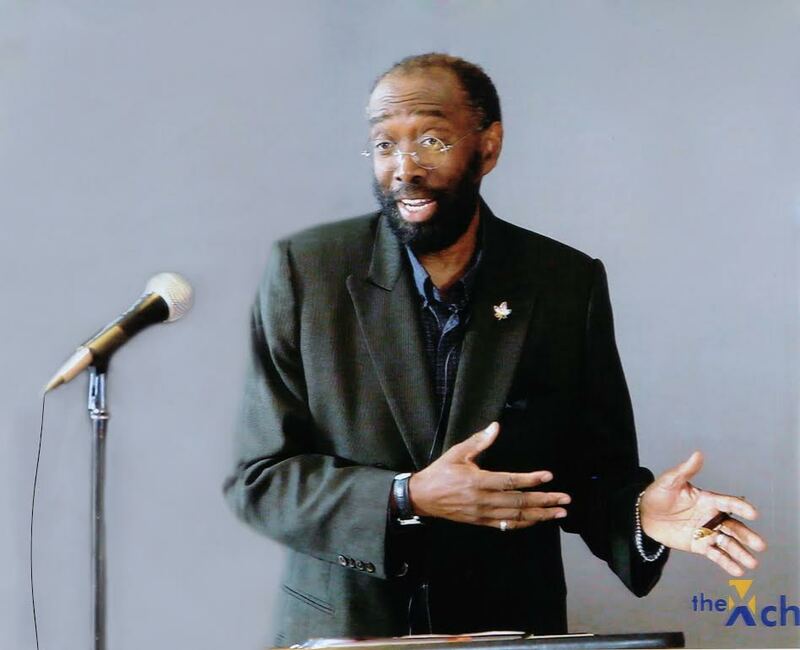 Errol is an eloquent speaker who has presented to diverse audiences on technical and non-technical subjects.  Errol says that it does not matter who we are — our citizenry at birth, whether we are rich or poor, academic or layperson, religious or irreligious. At the core, the meaning and purpose in life precede the search for happiness, which is the embodiment of the human journey. 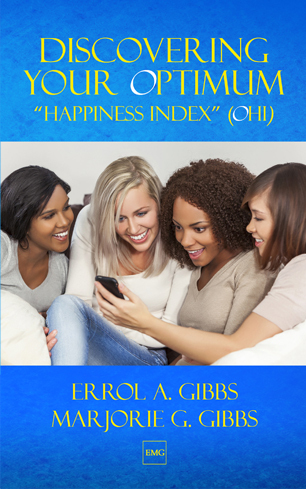 Errol invites you to take a life-changing “journey of discovery” to Discovering Your Optimum Happiness Index (OHI) ― A Self-directed Guide to Your Happiness Index (HI). Please contact the authors to arrange a speaking engagement at your corporation, organization, institution, or small group. Sample Optimum Happiness (OH) Questionnaire. Try it!